Opened the fridge and I swear the Leeks just jumped at me! Then I remembered buying them a week ago for whatever reason and then forgetting about them. So time to give them some attention. 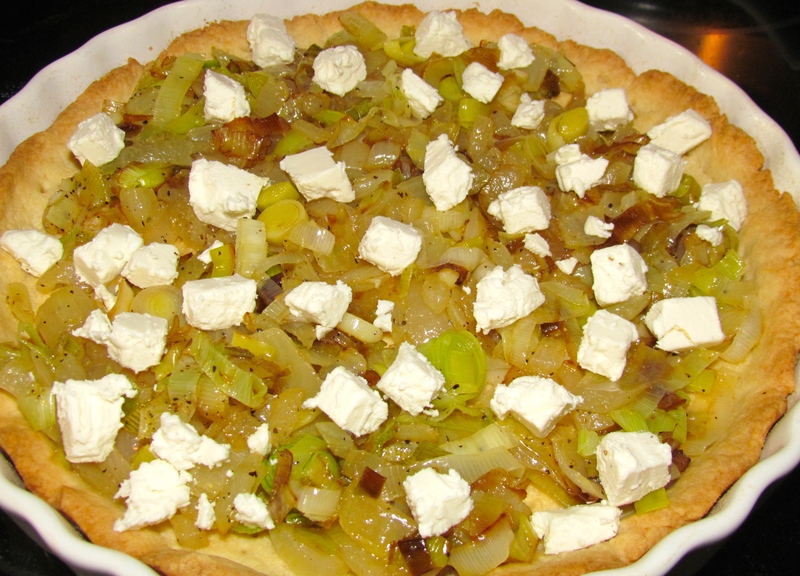 Found a lovely block of goats cheese hiding in the fridge too, so after putting together a batch of my mothers lovely Tart dough, my Leeks and Goat Cheese tart was on its way! Here is the recipe for my mum’s Tart dough, I use it for everything and if you don’t want to have the sweet and savory mix, leave the sugar out and replace with 1/4 tsp of salt. 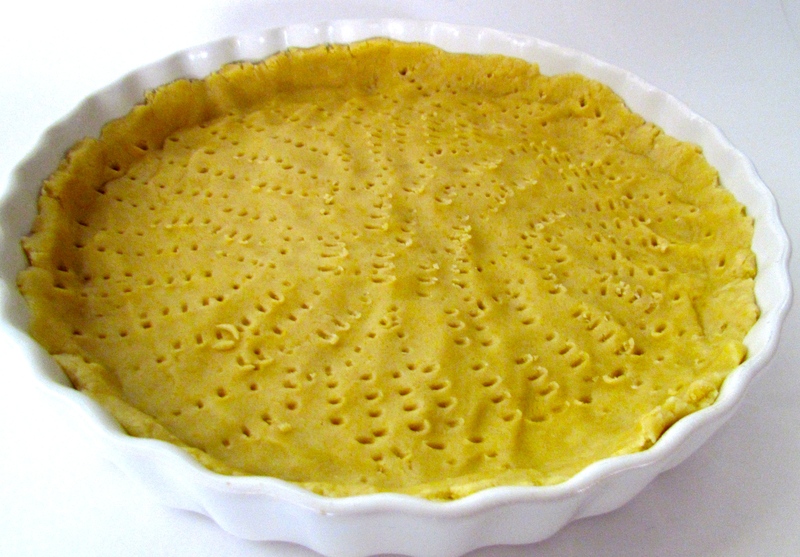 Once the dough comes together, press it into a tart mold and then prick it with a fork all over to make sure it doesn’t rise. Cook in a 375 deg oven for 20 minutes or until nice and golden. Sauté in a drizzle of olive oil, the leeks and onions in a pan until they are nicely caramelized. Evenly distribute the mixture and the diced goats cheese into the already baked pie crust. With a fork beat the cream and eggs together, add 3/4 tsp of salt and 1/2 tsp of black pepper. 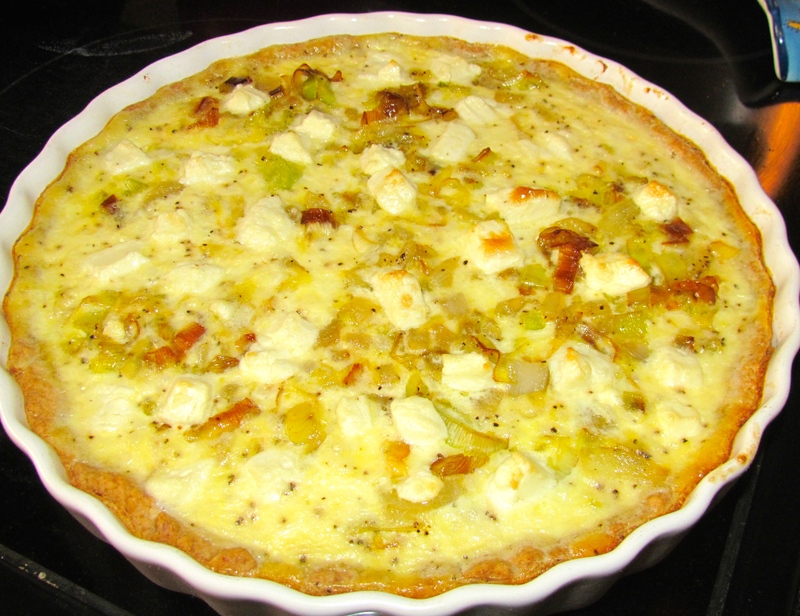 Poor this mixture over the leeks and cheese. Bake for 20 minutes in a 375 deg oven. Prev Romantic home cooked Lemon Shrimp Scampi dinner with the hubby……..
Next Arroz con Leche…..Sunday night dinner dessert….